The Winter of the Witch sets off at a great pace. Following immediately on from The Girl in the Tower we join Vasya in the aftermath of battle. A city desolated and burned, people terrified for their lives, and still the danger is not vanquished. An enemy defeated does not mean safety, for other old enemies still remain, and very quickly Vasya is hunted again as a witch, and finds her life in danger. The pace and tension are there immediately with this final instalment of the excellent Winternight trilogy, and this book picked me up and carried me along in the wonderful, beautiful, dangerous and brutal world in which Vasya resides. Vasya is such a good character. She’s a young woman determined, brave, and she knows her own mind. Through all her triumphs and losses she never gives up, even when the odds seem to be stacked against her. I was devastated within a very few chapters of this book. Events shocking and incredibly sad left me on the edge of my seat, hoping for a different outcome. And towards the end, well, there were certainly one or two scenes that really got to me, which I always think is the sign of a good story well told. 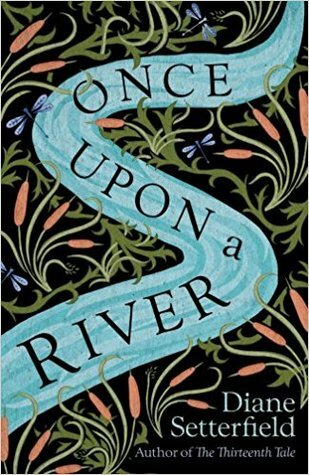 There’s a really beautiful fairytale, almost dreamlike quality to some of Vasya’s adventures as she discovers the magical lands of the chyerti, and finds out more about her own past, and I loved all the revelations and discoveries throughout the story. And venturing into these realms of magic gives the opportunity for some wonderful characters amongst the chyerti. I loved this dynamic, the great powers of the Bear and the Winter-King, and Vasya in between the two of them. Whoever would have imagined that you could end up sort-of liking a character like the Bear, and yet I definitely came to appreciate his unique brand of involvement in human affairs. The chaos-demon and the winter-king, twins, rivals, allies? It was everything I hoped it would be. Reaching the end of Winternight has been a great reading experience. The blend of family ties, history, folklore and magic, and the inclusion of some of my now-favourite characters just leaves me wanting to go right back to the beginning and experience it all again. What a wonderful trilogy this is.